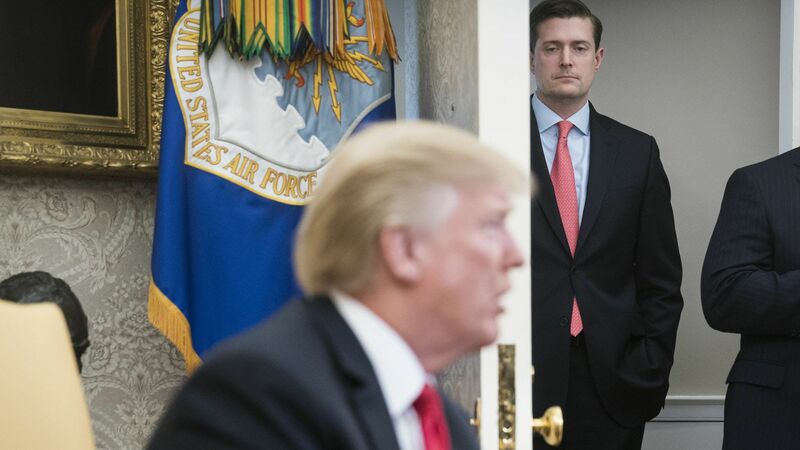 President Trump is defending Rob Porter even though, privately, he says he’s guilty. Four sources who have spoken directly with Trump tell me his private comments about ex-aide Porter — whose two ex-wives accused of violent attacks — have been brutal. But his public comments don’t reflect that, at all. This is the strongest indicator yet that Trump will reflexively defend his male allies from any and all accusations, even when he thinks those accusations are true. Trump tells friends that he deplores the #MeToo movement and believes it unfairly exposes CEOs to lawsuits from their female employees. The fact that women frequently face sexual predation in the workplace doesn’t impact his view on this. Behind-the-scenes: Porter appears to have crossed Trump’s red line. In the Oval Office, Trump read a print-out of the Daily Mail story with incredulity. He quickly turned on Porter. Trump said he was shocked that this clean-cut Harvard guy with the perfectly parted hair — “straight out of central casting” — could have violently attacked women. Over the last few days, the president has told associates he believes Porter’s ex-wives’ accusations. QuoteHe thinks there’s something wrong with them [men who attack their wives] and they never change... He thinks they can’t be reformed. — One source who has spoken with Trump about Porter. But — at least in Porter’s case — he’ll still publicly back them up. On Friday, Trump expressed sympathy for Porter, praised his White House work, and made no mention of the women who say he attacked them.